Lecture: "The City in Pieces: Sol Lewitt's Manhattan"
Please join us for an art history lecture by Kirsten Swenson, associate professor of art history, U Mass Lowell. Free and open to the public. In the late 1970s and early 1980s, Sol LeWitt took thousands of photographs documenting the text- and image-filled walls of the Lower East Side, his home since the early 1960s. These expressive, socially engaged walls—murals represent the Nuyorican movement and historic Jewish community, graffiti and wheatpaste posters support worker uprisings and economic justice—were “the wall drawings of his neighborhood,” artist Tom Marioni wrote, referencing LeWitt’s important conceptual art practice. The photographs were published as photo-essays in three art magazines. In the 1980s, LeWitt assembled nearly 700 photographs of the Lower East Side in paste-ups for a book that remain in his archive, unpublished. 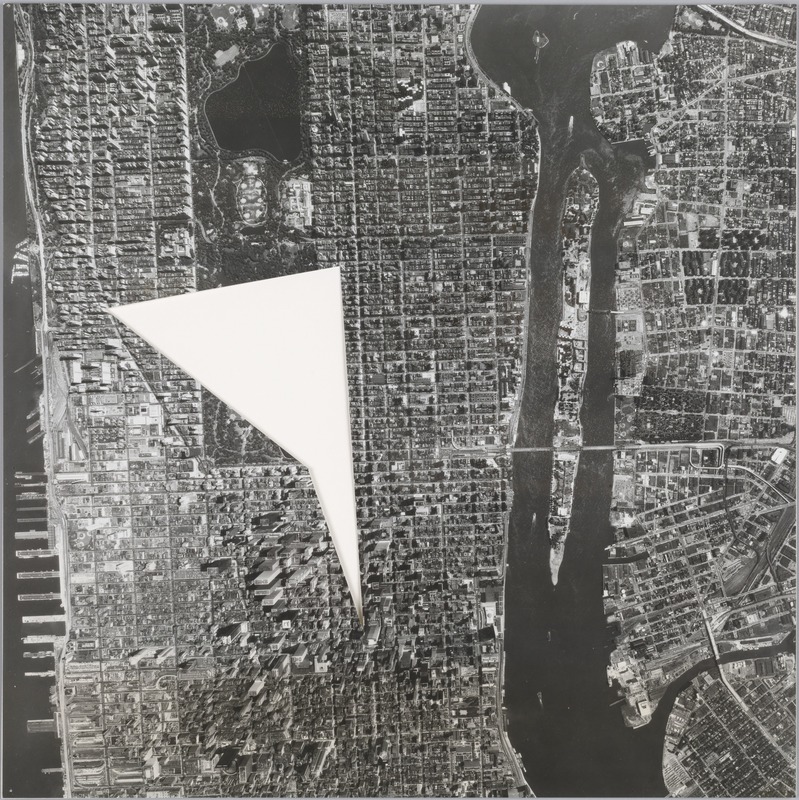 In the later 1970s, LeWitt captured Manhattan in two further series based on an antithetical kind of photography: found aerial views of Manhattan of the sort used for urban planning. The “Rip Drawings” subtract sections of the city based on personal coordinates—e.g., Photo of Part of Manhattan with the Area Between 117 Hester St, 420 W. Broadway and Morty’s Liquor Store Cut Out (1978). The “Piece of Manhattan” series deployed the geometric shapes removed from the “Rip Drawings” as positive forms, usually inscribed to friends. LeWitt stipulated that price for works in both series was never to exceed $100. In theory, the drawings could not be used as speculative commodities, a gesture that, by the late 1970s, corresponded to a heated Manhattan real estate market fueled by the corporate stockpiling of buildings in low income neighborhoods as the city rebounded from economic crisis. This talk will survey LeWitt’s photographic responses to Manhattan that assert community over space as an abstract, speculative commodity. As artworks, these are fragmented, spatially and conceptually dispersed objects, not quite authorized as art. LeWitt’s Manhattan works are productively examined in conjunction with responses to Manhattan real estate by his contemporary, Hans Haacke, as well as the work of later artists such as Zoe Leonard who have expanded photo-conceptualism to engage the city’s fragile, transitional social and economic systems. Sponsored by Art, Art History, and Design; American Studies; and the School of Architecture.